With the 1299 Panigale R Final Edition, Ducati celebrates the twin cylinder that marked the history of the Superbike World Championship. 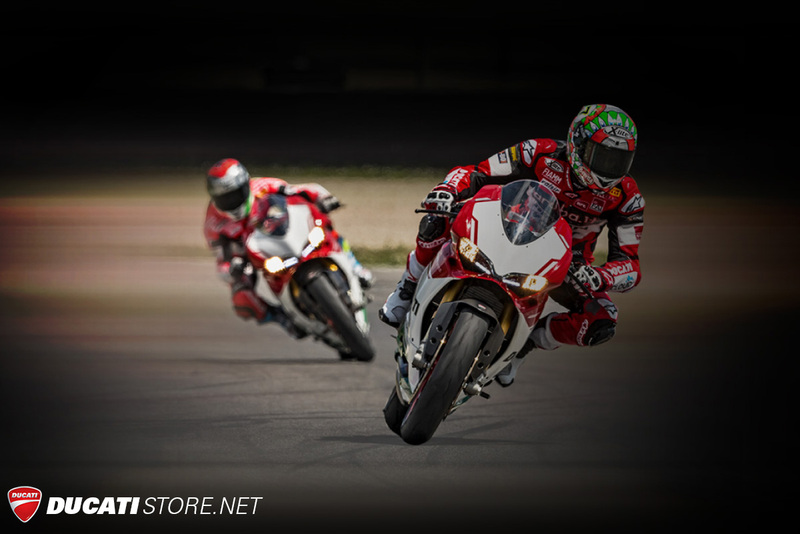 From Marco Lucchinelli’s first victory with the 851 in 1988 during the first race in the history of the world championship of modified production models, to 2017 with the victories of Chaz Davies and Marco Melandri on the Panigale R, the twin cylinder from Borgo Panigale has always been a top performer of the Superbike Championship. 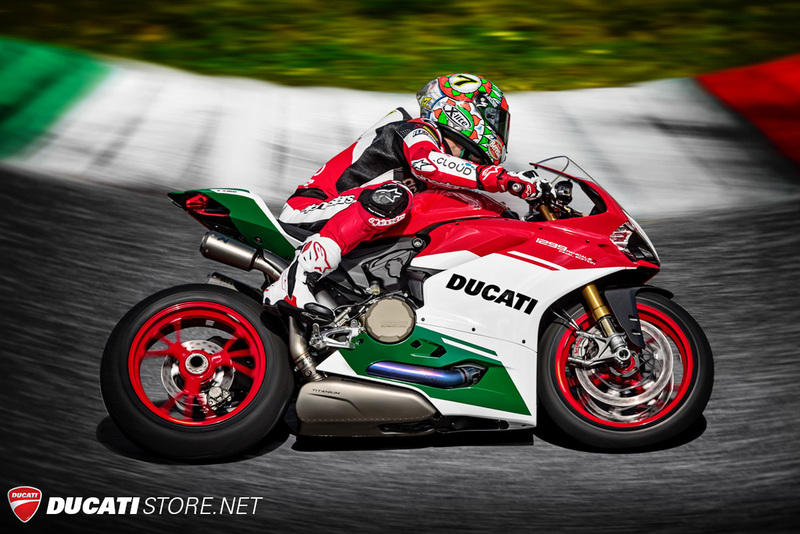 We are now taking pre-delivery orders for the 1299 R Final Edition. 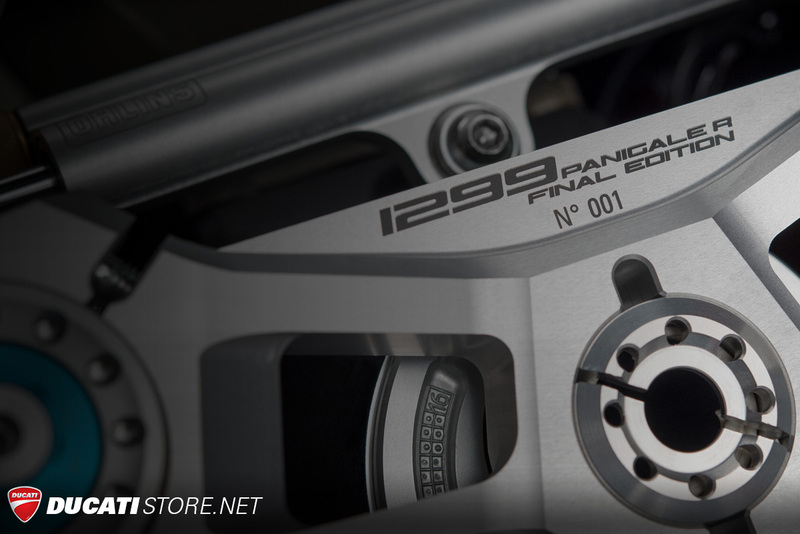 With the 1299 Panigale R Final Edition, Ducati celebrates the twin cylinder that marked the history of the Superbike World Championship. 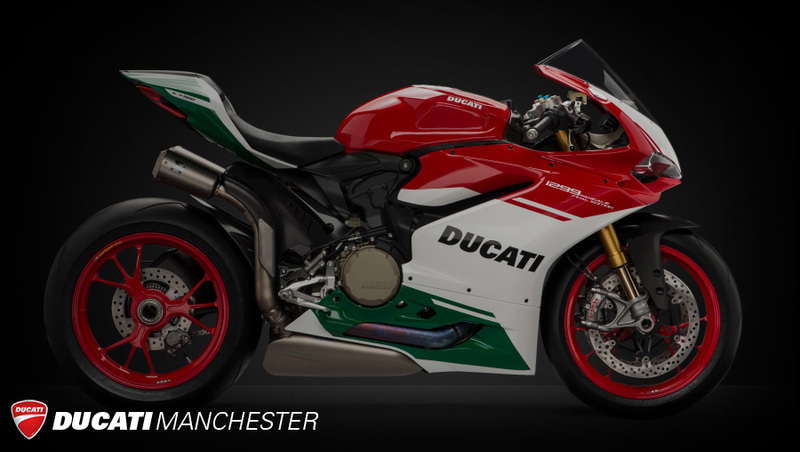 Customise your Ducati Panigale with our full range of 2017 Panigale Parts & Accessories online. 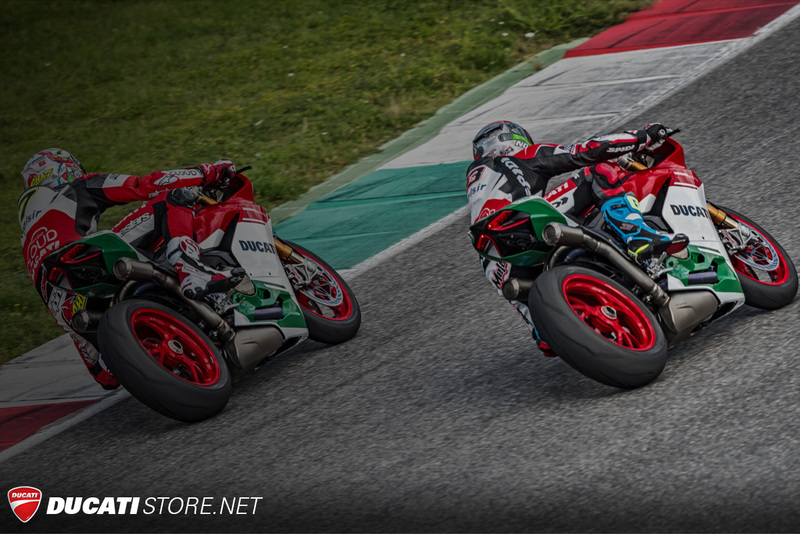 Also at Ducati Manchester we have a full range of 2017 Panigale Clothing & Accessories available at our online Ducati Store. 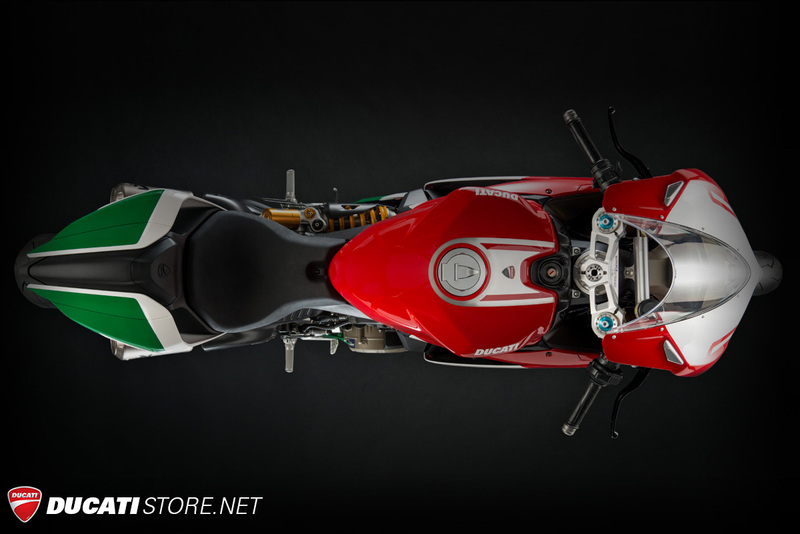 The curves of the 1299 Panigale R Final Edition are coloured with a new palette of green, white and red. Making it even more unique is the numbered billet steering head. 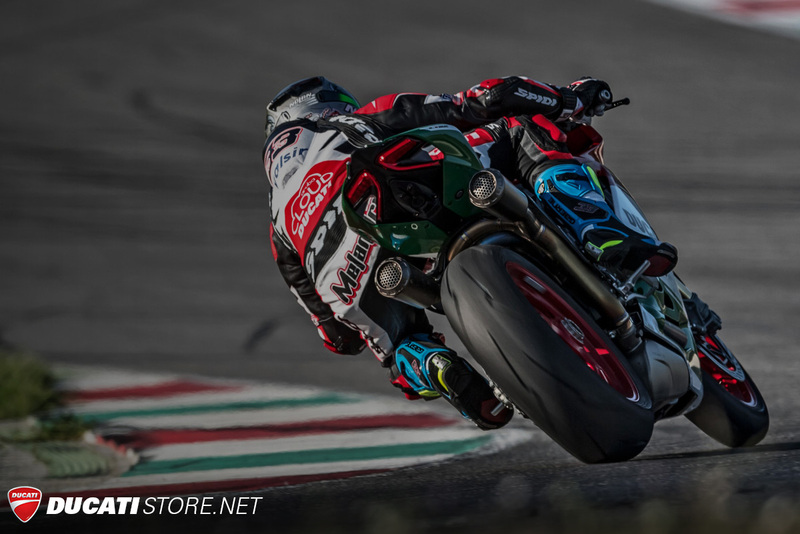 The Final Edition Superquadro is fully derived from the 1299 Superleggera with 209 hp at 11,000 rpm and 14.5 kgm at 9,000 rpm. Thanks to the very high power and dry weight of just 168 kg, the Final Edition achieves a weight to power ratio of 1.24 hp/kg. The most powerful twin cylinder Ducati of all time inherits its Superquadro engine from the 1299 Superleggera. Titanium con-rods and valves, crankshaft with tungsten balancing pads, 116 mm piston with only 2 elastic bands, optimised intake ducts, camshafts with increased lift, throttle body with aerodynamic butterflies, intake funnels differentiated by bank and air racing filter guarantee the incredible 209 hp power at 11,000 rpm and 14.5 kgm of torque at 9,000 rpm. 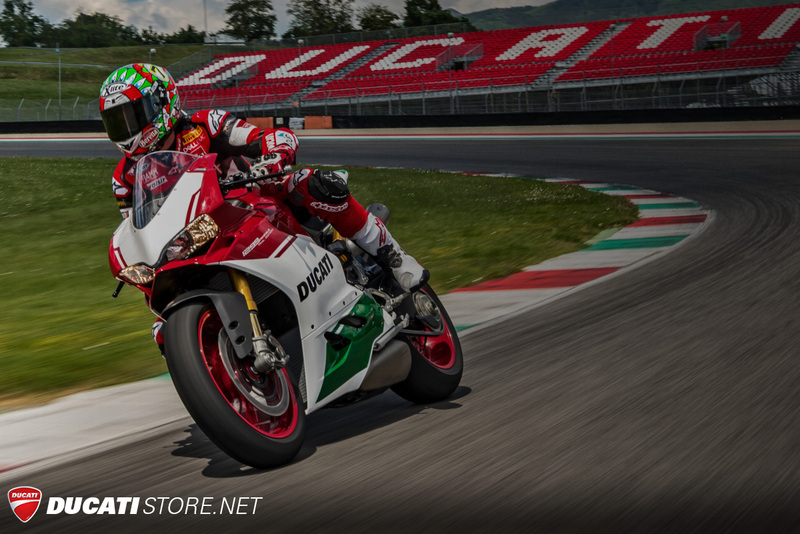 The 1299 Panigale R Final Edition is equipped with an Akrapovič exhaust system that is completely made out of titanium with raised double silencer (approved Euro 4) derived from the Panigales used by Chaz Davies and Marco Melandri in the Superbike Championship. Making the most of competition experience, a number of advanced electronic control systems have been developed that optimise the reactions of the engine and chassis in every situation. Advanced electronic control systems developed based on racing experience. The extremely compact monocoque structure incorporates the airbox and contributes in a crucial manner to the containment of the motorcycle's weight, which is only 179kg (with liquids and battery, without fuel).